As Uber Technologies Inc looked to conquer ride-sharing around the world, Grab was focused on serving the 620 million people that share its home in South-east Asia. Considering Trump’s ‘America First’ philosophy and his disdain for past trade agreements — sentiments proclaimed at the Da Nang APEC summit and on numerous other occasions — it’s reasonable to conclude that ASEAN plays no role in Trump’s world view. The Stock Exchange of Thailand and shares in Vietnam gained, while other Southeast Asian markets pulled back somewhat from early losses on Monday after global markets showed signs of recovery following reports of trade talks between the United States and China, calming fears of a full-blown trade war. The nation’s major banks are having a hard time making inroads into Southeast Asia as their future growth engine despite the government’s strong drive to promote the region. The Association of Southeast Asian Nations (Asean) and Australia just concluded their first-ever special summit in Sydney. Australia’s burgeoning agtech industry has the capability to take advantage of the huge ASEAN (Association of Southeast Asian Nations) agricultural sector, with immense opportunities in areas of sustainability, marketing, financing, production, food quality and regional planning. Member countries of the Lancang-Mekong Cooperation (LMC) have gained tangible benefits with prospects for greater fruitful cooperation in the years to come, diplomats say. At the APEC Summit in November 2017, US President Donald Trump declared, ‘We are not going to let the United States be taken advantage of anymore … I am always going to put America first’. Given the unsettled international environment, great powers’ competition and regional dynamism, the current Asean chair, Singaporean Prime Minister Lee Hsien Loong, urged the regional grouping to “maintain its centrality and relevance” in his recent speech at the Institute of Southeast Asian Studies. Inviting the leaders of South-east Asia for the first time to an Asean-Australia Special Summit in Australia marks an important shift in Canberra’s thinking about how to manage its many foreign policy challenges. Sarawak Energy Bhd (SEB), which aspires to be a regional powerhouse is exploring the potential of building hydroelectric dams in several Asean countries. 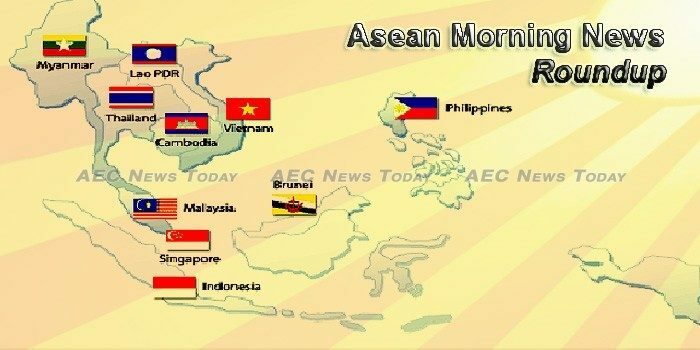 A legislative body on Monday directed the Ministry of Commerce & Trade to accelerate the pace of negotiations at political and ministerial levels to increase trade with Association of South East Asian Nations (ASEAN). Prime Minister Hun Sen has announced that the democratic process in Cambodia will continue unabated, noting that the national election will not be postponed or cancelled as it has been in other countries. Cambodia has become more autocratic and its government’s claim of stable economic development rests on uncertain basis, according to a comprehensive new report. Commercial banks and microfinance institutions have acquired more than 209 billion riel in riel liquidity, worth $52.4 million, from the National Bank of Cambodia (NBC) since the central bank began its liquidity-providing collateralised operation (LPCO) in October 2016. The Asian Development Bank (ADB) will provide $175.3m loan to PT Supreme Energy Rantau Dedap (SERD) to support development of the second phase of the company’s geothermal power project in South Sumatra Province, Indonesia. Indonesia’s first edible packaging firm, Evoware, has unveiled plans to automate and rapidly scale up production of its seaweed-based items, which will lead to a big cut in the final costs of its products. Indonesia’s Supreme Court has rejected an appeal by the Christian ex-governor of Jakarta to review his conviction for insulting Islam, a court spokesman said on Monday, so the politician will serve out his two-year sentence. The Russian Defense Ministry plans opening an office in Laos where experts will provide assistance to the Lao side on the use of Russian-made military equipment, an order published on the official legal information website read. Health officials from nine central provinces met in Vientiane recently to learn about a nutritional therapy programme to enhance their practice and capacity development. The Malaysian government on Monday proposed a law to combat “fake news” which could see offenders jailed for 10 years, sparking fears authorities aim to stifle criticism as elections loom. The ringgit is expected to be less susceptible to sharp spikes in volatility compared with other regional currencies due to the support from favourable domestic growth drivers. Malaysia’s national bank hinted it is planning to integrate Blockchain in its banking part, its agent senator revealing ongoing advancement work in a discourse Thursday, March 22. Family-run firms, a lack of transparency and murky money networks in the former junta-led country continue to make doing business in Myanmar “super challenging”, a new study mapping the country’s top companies said on Monday (March 26). Is Facebook contributing to genocide in Myanmar? It’s not every day that a country of over 51 million people goes online virtually overnight. The Myanmar parliament will select a new president on Wednesday, with lawmakers choosing among three vice presidents for the successor to Htin Kyaw, the country’s civilian president who resigned last week. The Philippine consumers’ confidence dropped to its lowest level in the first quarter of 2018 on expectations of higher prices of goods. Consultative committee head Reynato Puno said Monday that President Rodrigo Duterte cannot run for a second term even if the new Constitution would allow a President to serve for two terms. The country’s aging power plants put the country’s power supply situation at risk, according to the Energy Department and power retailer Manila Electric Co. While it is aware of Grab’s acquisition of Uber’s Southeast Asia business, Singapore’s competition watchdog said it has not received formal notifications from both parties. The tests will enable LTA to determine the performance and reliability of the technologies under real-life environmental and traffic conditions for future traffic management systems which will leverage Global Navigation Satellite System (GNSS) technology. Singapore’s factory output continued its winning streak in February, beating expectations from economists despite concerns about the Chinese New Year (CNY) effect. More cases of rabies infections in dogs have been found in Buri Ram and Nakhon Ratchasima, while vaccine supplies are reportedly running low. The merger between Grab and Uber is driving market concentration to monopoly levels, underlying the urgency of regulations that legalise and keep in check ride-sharing service in Thailand, say industry and research analysts. Thailand is considering opening some businesses in the service industry to more foreign investment, the Bangkok Post reported on Monday (March 26). Vietnam’s mechanical engineering industry is striving to apply advanced technology, produce high-quality products meeting international standards and join the global value chain by 2035. Vietnam’s finance and banking sector has attracted quite a number of foreigners to leading roles over the years. This trend is expected to continue, as foreign expertise and experience are in high demand for the sector’s development and expat incomes have become more competitive over the years. The Poliburo recently issued Resolution 23-NQ/TW to develop the national industry until 2030, with vision to 2045, aiming to finalize the industrialization and modernization targets and become one of the top three countries in industry in ASEAN.